Need a car insurance repair job on the Gold Coast? If you’ve been involved in a car crash and have car insurance, you’ll probably need to get some quotes from an authorised car insurance repair workshop. 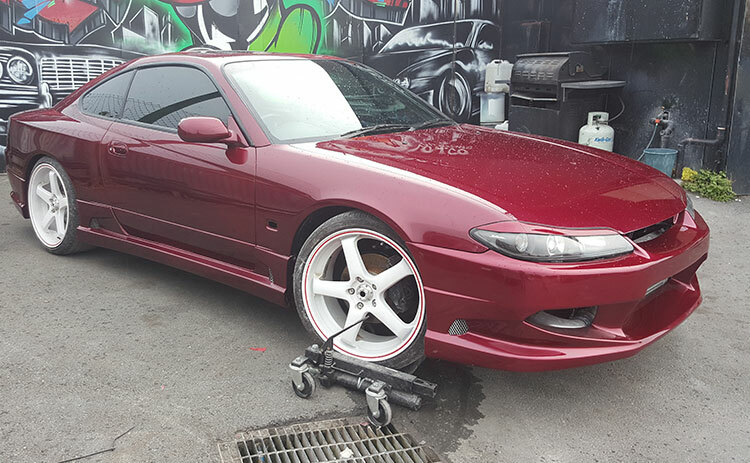 The great thing about bringing your vehicle to Low.Co Customs is that we have the facility, experience, and the equipment to repair paintwork and panels as required. Our team of highly skilled panel beaters have years of experience when it comes to smash repairs, even if your car looks like a banana don’t stress we can fix it. 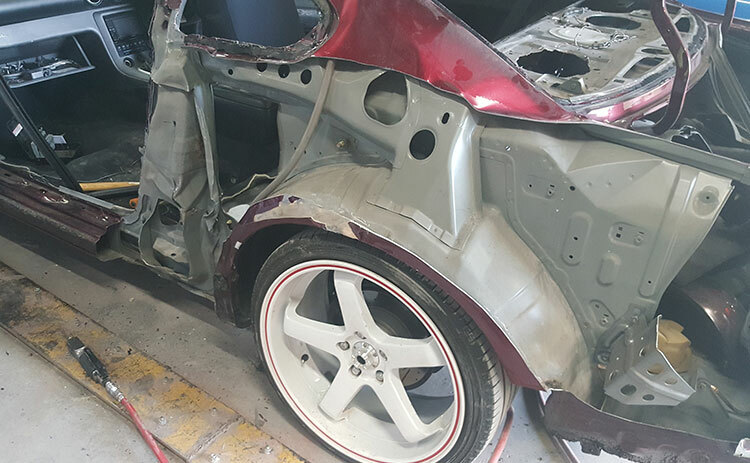 All smashed vehicles are repaired using high quality parts and for those that are a bit far out of shape we have a pulling rack installed in the workshop, so all vehicles with major damage can be measured and pulled back to their original design. If structural points of the car i.e. beaver panel or sills etc. have been damaged beyond repair we can also cut and reweld new sections into the vehicle. We understand that for some people, sorting out repairs after an accident can be stressful. Luckily after the claim is lodged we will handle the rest for you so won’t have to deal with the insurance company until needed (hopefully not for a long time). We’ll make sure to keep you informed over the duration of time that you’ll be without your car. We prioritise car smash repairs because we know that having your car repaired and back in a timely manner is important. We work with and are passionate about speciality cars and custom cars, so if your car is your prized procession, we’re the people you can trust to take care of it. While your car is in for repairs, we can also do any due Log Book Servicing. You can call us between 6:30am and 6:00pm Monday to Friday and one of our friendly team members will arrange a day and time that works well for you. You’ll bring your car in and we’ll assess the damage and give you a quote for your car insurance company.